Question How to escape Windows Repair loop + ostensibly no administrator account? The latest Windows 10 update, after restart, doesn't let me log in to my computer. 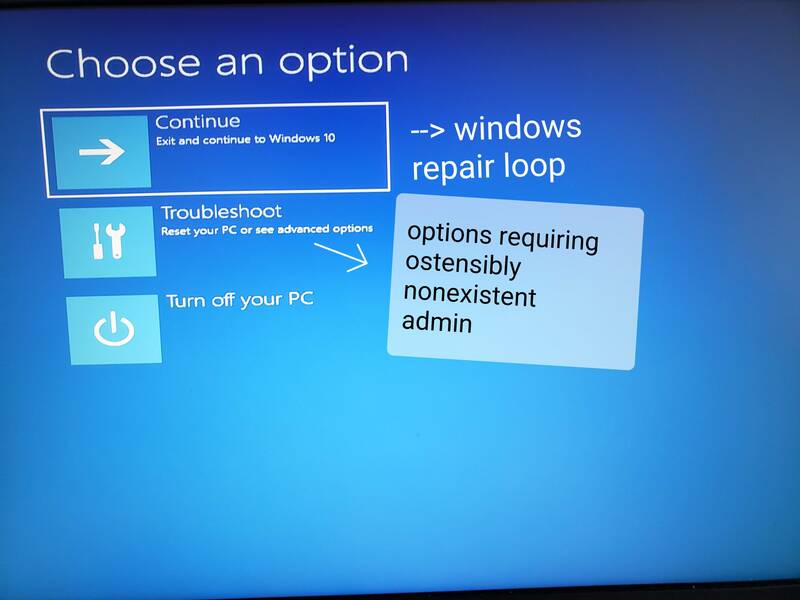 Windows seems to be stuck in a Windows Repair Mode loop, where every option simply results in Windows restarting and winding up at the same place. 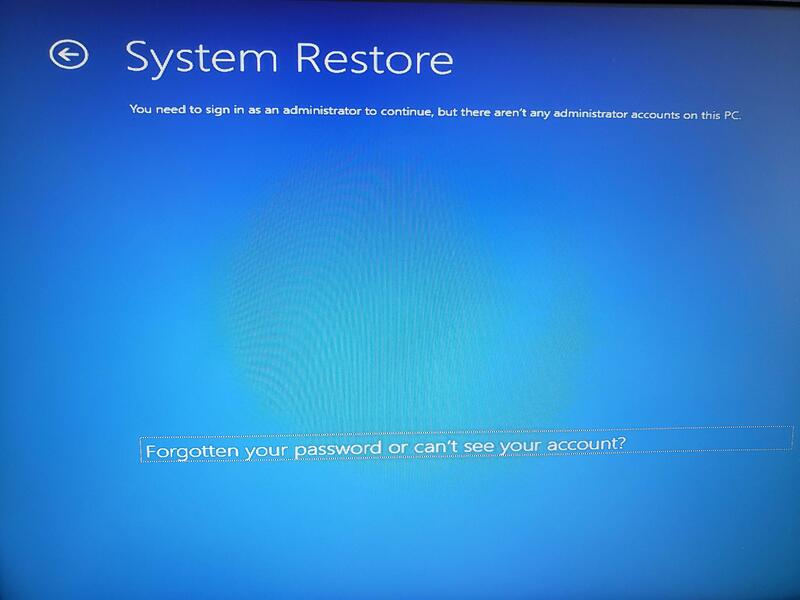 A complication is that while "Continue to Windows 10" results in a restart, "Troubleshoot" and all the options it gives say "You need to sign in as an administrator account to continue, but there aren't any administrator accounts on this PC." (Sounds absurd, but okay). The "forgotten your password or can't see your account?" 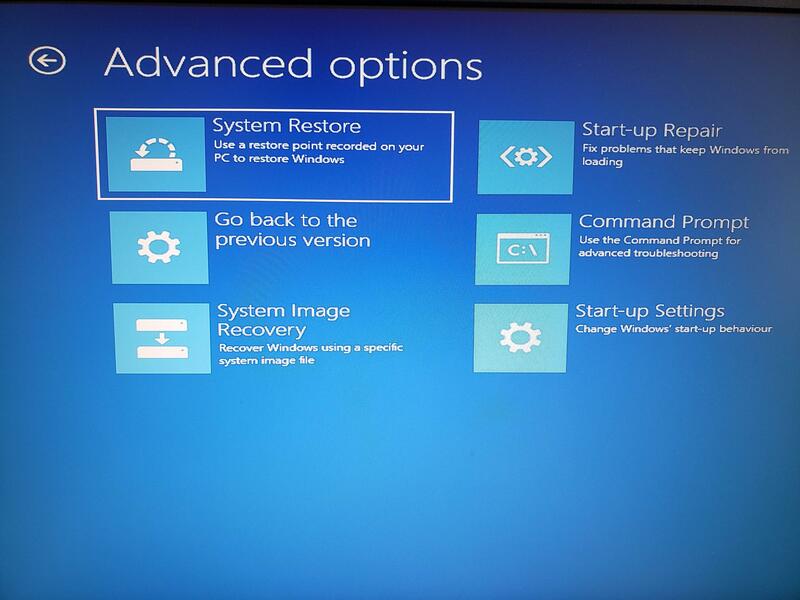 option results in a restart and Windows Repair. Anything on PC you want to save? Type net localgroup administrators and press Enter. Thanks for the response! Troubleshoot options including command prompt require administrator access, but I was able to access command prompt through installation media startup options. However, this linked advice seems incomplete. I got the expected message, and got a valid response when I put in my email address as a user name (the other user names didn't work, and I think this is my Microsoft username), but not sure what the next step is. And received a response: "There is no such global user or group"
were you able to backup everything you want to save off Boot drive? Weirdly, my PC is now stuck in a Windows installation loop. During the process of installation from a usb flash drive, the pc restarts and of course goes to the initial installation setup screen. Uh oh. what motherboard do you have? 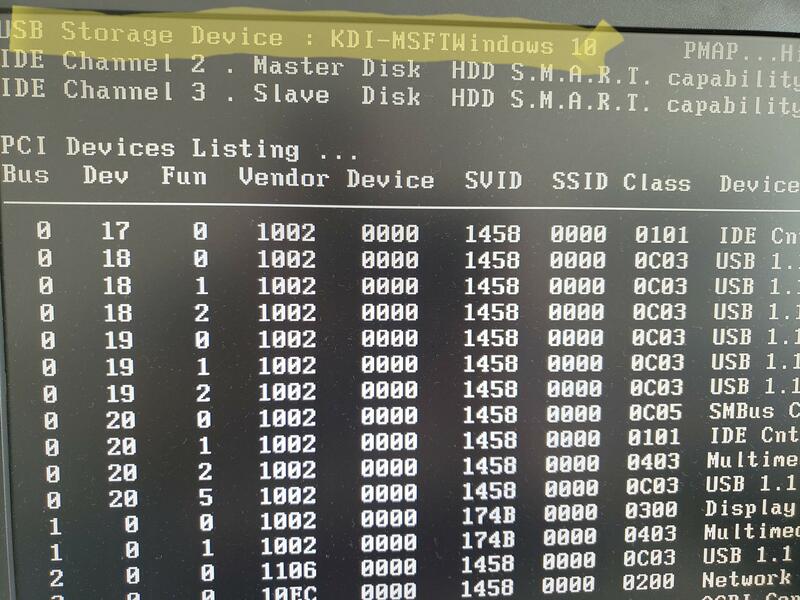 I have seen this before, its cause you have USB as 1st boot drive and PC just following instructions... there should be a way to overcome this but need to look in bios. I seem to have random inputs of the escape key?